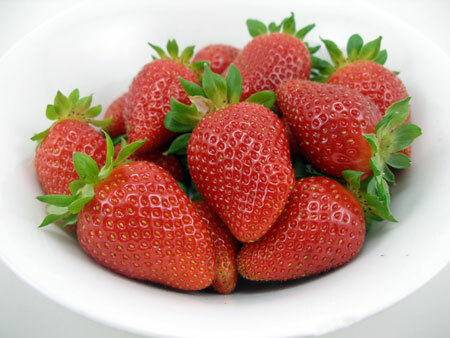 Strawberries are red sweet fruit with a seed studded surface. Fresh strawberries or frozen strawberries can be used for making mixed drinks. Always used fresh strawberries when they're in season. If a blended drink recipe calls for strawberries, a strawberry puree can be used instead of the strawberries.